We’ll make sure it’s done right! Let us setup your new PC and we'll make sure it's done right. We'll also setup your printer and other devices too. Here are some of the things we'll do! Run all cables neatly and as hidden as possible. Security software is installed and running. Download software or readers you may need. If required, transfer files from old computer. Make sure you can log into your accounts. Setup your printer and peripherals on your network, USB, or bluetooth. Advise and guide you on your new purchase. 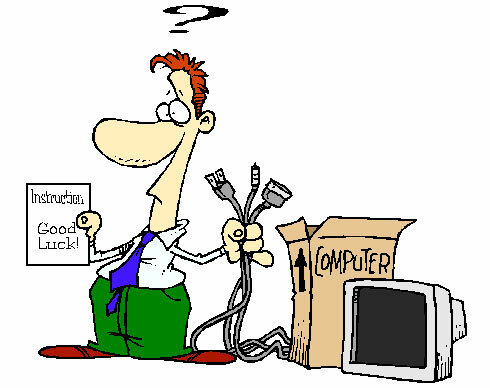 If you would like us to setup your new computer system, call or email and we'll make sure it's done right! "After 41 years in business I was so happy to have found ESL more than 10 years ago. It was certainly one of the best decisions I ever made to help us with our computers systems". "If you need reliable, affordable, and most importantly expert computer technology service, look no further than ESL. Our medical practice has benefited from our association with ESL for over twelve years and we have never been disappointed. - Gregory S. Weatherford, M.D. "I've been an extremely pleased customer of the services of Electronic Systems Lab over a period of several years. Their work has been successfully performed on both our desktop and laptop computers." "ESL has been our trouble shooter for many years and when our computer is causing us trouble, we just call ESL who not only will answer a question or two via email but comes to our home in record time and gets our computer back to really good condition." 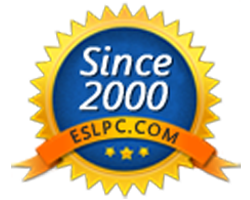 "ESL is the most knowledgeable, pleasant Company I have encountered that has worked on my PC. The work is first class, reasonable in cost and completed on time." "I've used ESL services for about 10 years now. I have been very happy with their services for computers repairs software and network setup at very reasonable prices." "I've known ESL for more than 10 years and have always found them to be courteous, hard-working and eager to get the job done right the first time. Whether it was developing and ordering a new computer, repairing existing office computers, or solving a difficult software issue." - Steven D. Sederholm, Au.D. 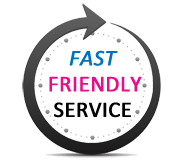 "ESL arrived quickly and on time and did a very in-depth but quick troubleshooting. He asked questions and moved forward. The issue was resolved in a timely basis and I was able to resume my work quickly. Absolutely I would recommend ESL and I would use them again and again." © 2000-2019 Electronic Systems Labs. All rights reserved.